It is hard to believe that little man is starting school this year. It seems like yesterday that he was born. However, he is more than ready and excited about joining his brothers. For my Bostik craft this month I decided that I would make a scrapbook page for little man starting school. Obviously it is a work in process as he hasn't started yet. I started by cutting out some yellow pieces of card for the main elements of my scrapbook and securing them to the scrapbook page with the Bostik glu dots. As it is a work in progress there are still some blanks. I asked little man to draw a picture of what he would like to be when he grew up. He drew a picture of the moon and asked me to write that he would like to be an astronaut. 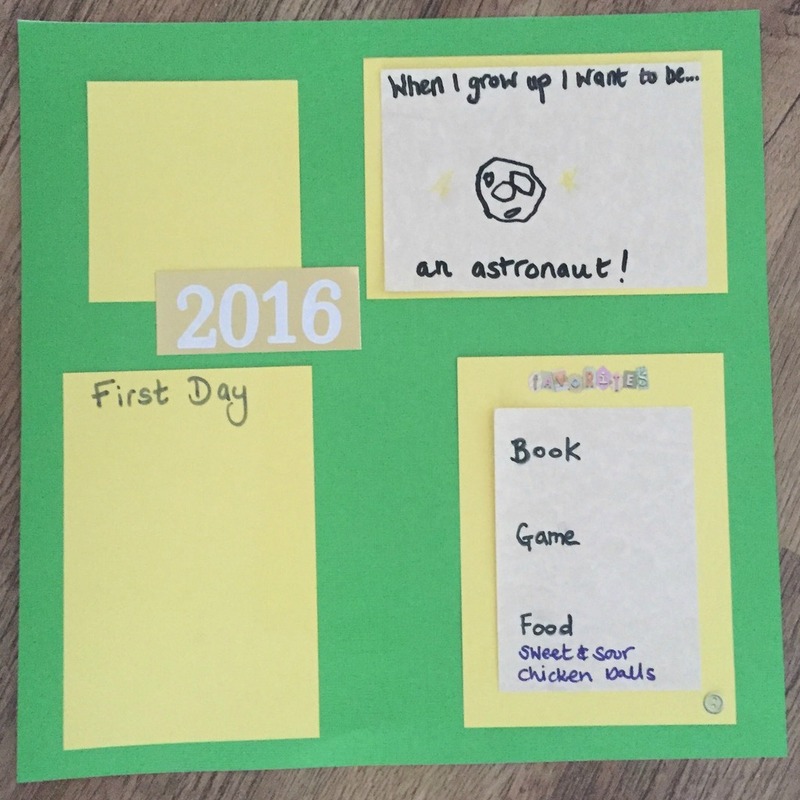 I think Tim Peake might have something to do with his current choice, I will fill in his favourite book and game at the end of the summer and the other spaces are for a first day photo and something he draws at school in reception. Or maybe a photo of a junk model he makes. (We had a lot of cereal packets with milk bottle tops stuck on coming home with middle man!) I will use the microdots to stick on the photographs. Do you have a little one starting at school this year? If so you might want to read my top tips post.